Hello everyone! Hope your Saturday was FANTASTIC!! We woke up to snow and it’s bben snowing off and on all day...it’s so BEAUTIFUL!!! 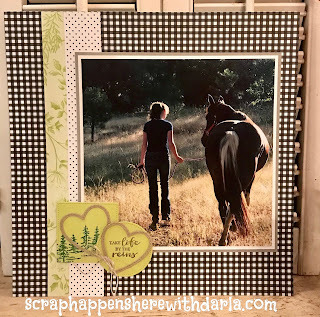 It’s time for my latest Scrapbook page! 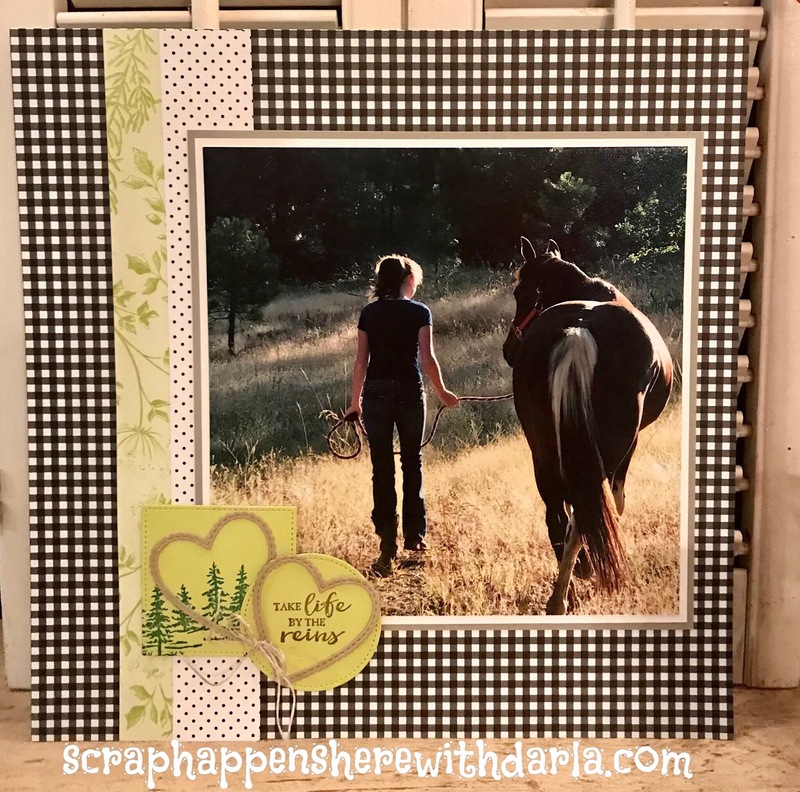 I hope it encourages you to gather up some photos and get some scrapbooking pagers put together! This page is created with the Botanical Butterfly Designer paper that is a FREE Sale-a-Bration item! I also used the Stitched Shapes Framelits and the Be Mine Stitched Framelits! The stamped images are from the Let It Ride stamp set in Shaded Spruce and Soft Suede ink onto Lemon Lime Twist cardstock. The hearts are cut from Crum Cake cardstock and there is a double Linen Thread bow tied around one of the hearts...isn’t it a great page?! That’s it...I’m off to bed...I have a cold that is getting me down! I’m so tired!! Thanks bunches for stopping by! !